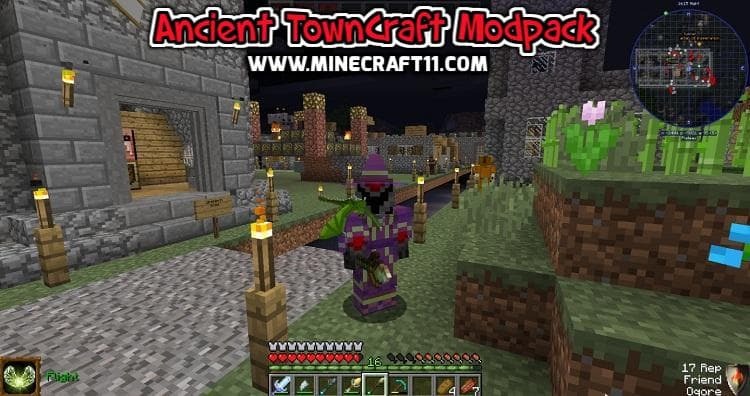 Ancient TownCraft Modpack 1.12.2 offers many environmental mods that enhance the feel of being in ancient times. 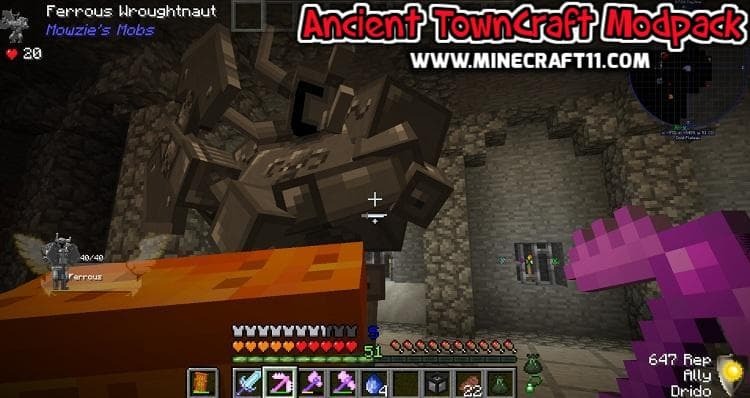 You wake in a dark world, blinking your eyes, you see glowing eyes staring back at you….then you DIE! You start your journey in the amazing Betweenlands, there is no running across pristine green grass to an oak tree, but there will be running from everything that wants to eat you. 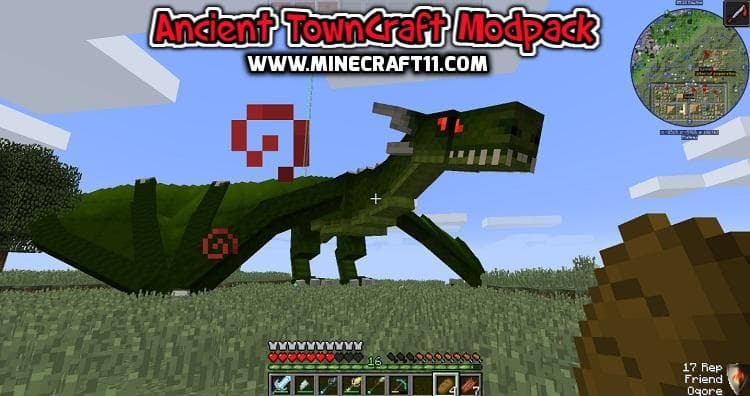 Once you survive the betweenlands, you can emerge into the overworld and build your kingdom using many decorative mods. 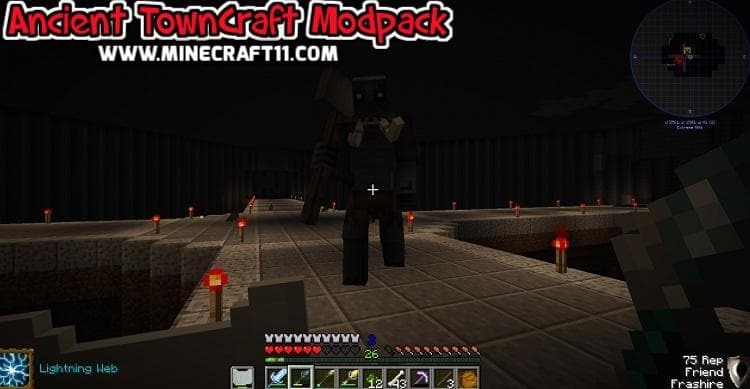 This pack includes so many items for building I had to add a mod that increases Minecraft’s item limit. You will be flying dragons, vampires, and building castles. 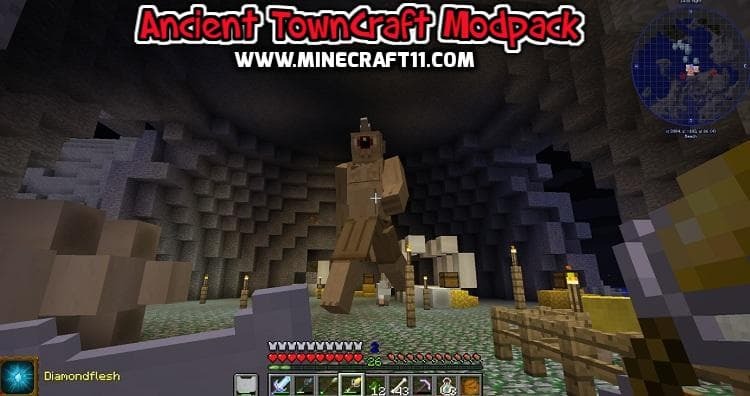 This pack also includes a multiplayer server address to play with other players.